Home » Health » What Is Ankylosing Spondylitis? 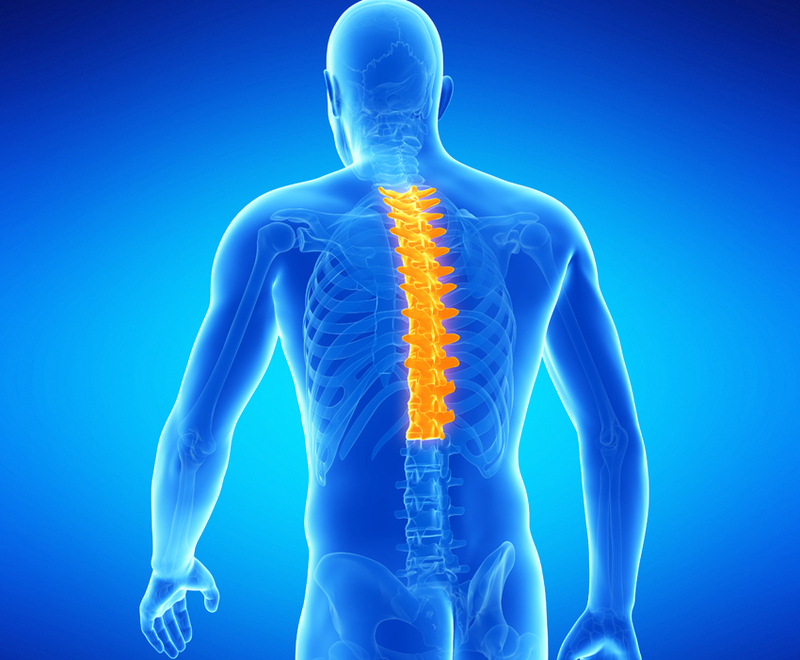 Ankylosing spondylitis is a chronic disease that causes inflammation of the spine. This disease can also make the vertebrae melt so that the patient is difficult to move and become bent. If ankylosing spondylitis to attack the ribs, the sufferer will have trouble breathing. The facts reveal that ankylosing spondylitis is more common in males than females, ie three to one. This disease can occur at any age, but generally begins to develop in adolescence or early adulthood (around the age of 20 years). Symptoms of ankylosing spondylitis develop for months or years. Sometimes, the symptoms also come and go, improve and worsen, and appear within a certain time span. To avoid complications, the disease should be treated with appropriate treatment methods. The appearance of ankylosing spondylitis is usually characterized by pain or stiffness in the neck, lower back, cartilage between the breastbone and ribs, as well as pain in the pelvis. This condition is generally felt on waking or after staying in a position for some time. Fatigue. Patients with ankylosing spondylitis will feel tired and like losing energy to move. Enthesis. Inflammation that occurs in place of ligaments and tendons with bone attached. Arthritis. In ankylosing spondylitis can also occur joint inflammation in other body parts, such as the hip joint and knee. Not yet known exactly what causes ankylosing spondylitis. The HLA-B27 gene is thought to play a role, since 90% of people have the gene. However, most of the people who have this gene do not have ankylosing spondylitis. Blood examination. Done to check for signs of inflammation that occur in certain body parts. If the results indicate inflammation, the patient is advised to consult an orthopedic doctor (bone and joint physician). Scanning. Conducted to check the condition of the patient's spine and pelvis. The scan is done with X-ray, MRI, or ultrasound images. Genetic examination. Conducted to check whether the patient has the HLA-B27 gene, or has other genetic disorders. Sports. Done to help reduce the stiff muscles and strengthen the muscles around the joint. Exercise also helps reduce the risk of disability. The best exercise for people with this disease is swimming. Physiotherapy. Performed to restore normal body function and reduce the risk of permanent disability due to ankylosing spondylitis. Nonsteroidal anti-inflammatory drugs (NSAIDs) for the early stages, such as ibuprofen or naproxen . Antirheumatic drugs disease modification (DMARD), such as methotrexate , when treatment with NSAIDs is not enough. Antidepressant drugs duloxetine to cope with chronic back pain. Injections of corticosteroids in the joints or tendons are problematic. Operation . Performed as a last resort if the patient suffers severe joint damage. The operation aims to replace damaged joints with artificial joints in certain body parts, such as the pelvis and knees. Fracture (fracture) of the spine. This causes the spine to weaken, the more severe bending, and disruption of the spinal cord and spinal cord. Inflammation of the eyes. This condition causes the eyes to become sick, blurred vision, and very sensitive to light. With this condition, the patient would be difficult to perform normal activities. Heart disorders. Usually in the form of inflammation or other disorders of the aorta. Aortic inflammation can widen and cause heart work becomes disturbed. Uninterrupted activity. Patients can not perform daily activities such as in a healthy condition. In addition, their lifestyles will change, for example, forced to work part-time from home. Amyloidosis. It is a condition in which the amyloid proteins that should be produced in the spinal cord actually grow in some other organs, such as the heart, liver, and kidneys. Cauda equin syndrome Occurs when the nerves at the base of the spine are compressed. This condition causes pain in the buttocks and pelvis, legs feel weak, difficulty walking, and urinary system disorders. Stop smoking and do not chew tobacco. Sleep without a pillow or avoid using a pillow that is too thick . The use of pillows that are too thick can cause more severe spinal damage. Avoid bending . Use chairs, tables, and other furniture that are higher so that the body does not bend. Less severe exercise for the patient to avoid injury. 0 Response to "What Is Ankylosing Spondylitis?"